They allegedly assisted foreign 'students' in fraudulently obtaining immigration documents from the varsity and facilitated the creation of false student records. At least eight people – all either Indian citizens or of Indian origin – have been arrested across cities in the U.S. in connection with visa fraud charges according to the US District Court of the Eastern District of Michigan, Southern Division, a statement from the office of U.S. Attorney for the District, Matthew Schneider, said. Six arrests were made in Detroit, one in Florida and one in Virginia. In addition to the eight, an unspecified number of Indian students have been detained by the Department of Homeland Security in connection with the above case. The indictments unsealed on Wednesday charged the eight individuals, “a group of foreign citizens”, with conspiracy to commit visa fraud and harbour aliens for profit. [It is highly likely that all eight are Indian citizens based on their names , their characterisation in the charge-sheet and discussions The Hindu has had with sources]. Homeland Security Investigations (HSI) agents had posed as owners and employees of the University of Farmington in Farmington Hills, Michigan, approximately between June 2017 and January 2019 as part of an undercover operation to uncover immigration fraud, the indictment says. Students would pay to enroll in the University, giving the appearance that they were in approved educational programs and making normal progress towards getting a degree. However, the University neither had faculty nor any classes, the indictment says, and the students were aware of this. The “pay to stay” scheme allowed them to maintain their student visa (F-1) status and obtain work permits as part of the Curricular Practical Training (CPT) option open to qualified F-1 visa students. One of the eight defendants, an Aswanth ( aka Ashwanth) Nune, is alleged to have made in excess of $25,000 via this scheme , and assisted at least 18 other foreign citizens, as per the charge-sheet reviewed by The Hindu. Mr. Nune, the charges go, enlisted foreign citizens at the university in return for cash, kickbacks, “scholarships” and course credit. Mr. Nune also allegedly helped foreign citizens maintain their student visa status and obtain employment authorization in the U.S. The other seven individuals arrested are Barath Kakireddy, 29, of Lake Mary, FL, Suresh Kandala, 31, of Culpeper, Virginina, Phanideep Karnati, 35, of Louisville, Kentucky, Prem Rampeesa, 26, of Charlotte, North Carolina, Santosh Sama, 28, of Fremont, California, Avinash Thakkallapally, 28, of Harrisburg, Pennsylvania, Aswanth Nune, 26, of Atlanta, Georgia and Naveen Prathipati, 26, of Dallas, Texas. If convicted, they could be jailed for up to five years. “We are all aware that international students can be a valuable asset to our country, but as this case shows, the well-intended international student visa program can also be exploited and abused, “Mr. Schneider said in a statement. The defendants helped at least 600 foreign citizens as per one of the indictments, The Detroit Free Press reported. This means the number of “students” who will eventually be detained could run into the hundreds, and it is likely the majority of them are Indian citizens. At least 36 arrests of individuals posing as students were confirmed, diplomatic source told The Hindu. The Indian Embassy in Washington and Indian Consulates across the country have been in touch with Indian community and Indian student associations in the U.S. as well as U.S. authorities to provide those detained with consular assistance, the Indian Embassy told The Hindu. One of the “students” arrested, Babu (full name withheld on request) was taken away at dawn by DHS agents who knocked on his door at about 6.00 AM on Wednesday, Karthik (full name withheld upon request) , an engineer who shares a flat with Babu and a third female house-mate told The Hindu. The Hindu was able to verify Karthik’s identity based on work information he provided. The agents asked Babu where he was studying, what he was studying and whether he was taking online classes. Babu answered the last question in the affirmative but could not name any professors. Babu spoke with Karthik in the afternoon on Wednesday and asked Karthik to contact a non-profit that could help him get an attorney. The number of the non-profit was provided to Babu by the authorities. Babu , who sounded scared and “pretty low” according to Karthik, could not identify where he had been detained. Karthik has also been in touch with the Indian Embassy in Washington, he said to The Hindu. The University of Farmington has a website with details of its history, admissions and fees – which appear noticeably low. Graduate tuition per quarter is an estimated $2,500 or $10,000 per year compared to some $36,000 per year tuition at Michigan State for those who cannot claim state resident fees. The defendants intended to help shield and hide their customers/ students from United States immigration authorities for money and collectively profited in excess of a quarter of a million dollars as a result of their scheme, the ICE said. “We are all aware that international students can be a valuable asset to our country, but as this case shows, the well-intended international student visa program can also be exploited and abused, stated US Attorney Matthew Schneider. According to the indictment, the university was being used by foreign citizens as a ‘pay to stay’ scheme which allowed these individuals to stay in the United States as full-time students in an “approved” educational program. Each of the foreign citizen who enrolled and made tuition payments to the university knew that they would not attend accrual classes, earn credits or make progress towards an actual degree in a particular field of study — a pay to stay scheme, the indictment said. “Rather their intent was to fraudulently maintain their student visa status and to obtain work authorization under the CPT program, the indictment said, claiming that each student knew that the university program was not approved by the Department of Homeland Security, was illegal and that discretion should be used when discussing the program with others. It is the second such case when Department of Homeland Security has used a fake university to unearth a fake student visa racket. In 2016, ICE had arrested some 21 people for similar charges for a fake University of Northern New Jersey. The American Telugu Association (ATA) president, Parmesh Bheemreddy told The Hindu that affected students called up the ATA for guidance and help and the local ATA teams have reached out to Indian students Associations of various universities for counselling. The legal teams of ATA are also speaking to the affected students for legal help and counselling as they have been issued arrest warrants. The ATA also met the Indian Ambassador Harshvardhan Shingla and the Indian Consulate General Swati Vijay Kulkarni in Atlanta to brief them and sought assistance for remediation efforts, Mr. Bheemreddy said. According to Mr. Bheemreddy, this is not the first such incident and several foreign students including Indian students were arrested and deported in similar operations in Tri Valley University and Herguan University in California in 2011 and 2012. Some of them were given an option to change the University for continuing their education at that time. However, in this episode students may not get that opportunity as they willingly joined the fake university just to maintain their student status. Mr. Bheemreddy said the ATA is conducting an Immigration seminar on January 31 with Immigration attorneys Ravi Mannam, Michael Sofo and Hemant Ramachandran and they will guide students how to avoid fake recruiters who promise illegal ways to stay in the USA through admissions in unaccredited colleges and universities. The attorneys will also discuss what constitutes violation of immigration laws and the right approach to be a legal immigrant. Don't reward the criminal actions of millions of illegal aliens by giving them citizenship. Sign in and post comments here. We do not need these foreign students here. No more visa's! Our schools are overcrowded, our kids can't afford school. It is not necessary for them to come here. Another failed program that needs to be terminated or reduced significantly! They need to pay a $10,000 deposit. If they leave on time they get the money back. They do not and get caught, they forfeit the deposit, get deported with no chance to ever come back! We are getting ripped off by these foreigners every minute of every day. (WXYZ) — Federal agents from the Homeland Security Investigations unit used a fake university located in Farmington Hills to help find fake foreign students who were allegedly scamming the system to stay in the United States. According to an indictment unsealed in federal court on Wednesday, agents began using the University of Farmington, located in Farmington Hills, to "identify recruiters and entities engaged in immigration fraud." The indictment states that the university was not staffed with instructors or educators, had no curriculum, no classes and no education activities. From February 2017 until earlier this month, undercover agents posed as owners and employees of the university. According to the indictment, the university was being used by foreign citizens as a "pay-to-stay" scheme which allowed them to stay in the United States by saying they were enrolled as full-time students in an institution that was certified by the Student and Exchange Visitor Program, which is run by the Department of Homeland Security. "Each of the foreign citizens who 'enrolled' and made 'tuition' payments to the University knew that they would not attend any actual classes, earn credits, or make academic progress toward an actual degree in a particular field of study - a 'pay to stay' scheme,'" the indictment reads. "Rather, their intent was to fraudulently maintain their student visa status and to obtain work authorization under the CPT (curricular practical training) program." It goes on to allege that each student knew the university's programs were not approved by Homeland Security and that it was illegal. In all, the eight people charged were recruiters for the university and profited from the scheme, the indictment alleges. It also said that they created fake student records and transcripts with the intent of deceiving authorities. "In exchange or cash, kickbacks, 'scholarships' and tuition credits, the defendants enlisted hundreds of foreign citizens to enroll at the university," the indictment said. "The defendants, in furtherance of the fraud scheme, conspired with foreign citizens to fraudulently maintain their non-immigrant status as 'students' and helped them unlawfully stay and obtain employment authorization in the United States." The university has a .edu website set up with a physical address to a building on Northwestern Highway just south of 13 Mile. In the "about us" page, the university said, "University of Farmington traces its lineage back to the early 1950s, when returning soldiers from the Second World War were seeking a quality and marketable education. At the time, Detroit was the center of innovation and manufacturing. Skilled and motivated workers were in short supply. Large and small Colleges and Universities developed programs to assuage this demand. For one such school, the Detroit Engineering Institute (DEI), founded in 1912, it was the golden era for a skills based engineering education. In today’s parlance, a STEM (Science, Technology, Engineering, and Mathematics) program equal parts classroom and workplace. Sadly, DEI closed in 1989, coinciding with the demise of Detroit and its industrial prowess. Now, with the much-publicized rebirth of Detroit and its growing advanced manufacturing and technology economy, there again is a need for motivated workers, who possess the education and skills needed to compete in the 21st century." "These individuals are not undocumented or illegal aliens. An undocumented alien is someone who illegally enters the country without documentation. ICE often doesn’t know that an undocumented alien exists until we encounter that person. Instead, these foreign nationals are nonimmigrant aliens. They were admitted to the U.S. as nonimmigrant students using an F-1 visa based on the fact that they were going to attend an SEVP-certified school. Upon their arrival in the U.S., they transferred to the University of Farmington, which offered no academic or vocational programs of any kind. “Fake foreign students” would be more accurate." The Department of Homeland Security set up a fake university in Michigan to snare student immigrants in the United States who were without proper authorization, according to federal indictments unsealed Wednesday. Eight people were arrested and indicted for conspiracy to commit visa fraud and harboring aliens for profit. The indictment said the defendants helped at least 600 "foreign citizens to illegally remain, re-enter and work in the United States and actively recruited them to enroll in a fraudulent school as part of a 'pay to stay' scheme." The story was first reported by the Detroit Free Press and Detroit News. The indictments allege that the defendants "conspired with each other and others to fraudulently facilitate hundreds of foreign nationals in illegally remaining and working in the United States by actively recruiting them to enroll into a metro Detroit private university that, unbeknownst to the conspirators, was operated by HSI (Homeland Security Investigation) special agents as part of an undercover operation" for the past two years. The University of Farmington website says it "traces its lineage back to the early 1950s ..." It is "approved by the U.S. Department of Homeland Security Student and Exchange Visitor Program (SEVP) to enroll international students" and is "accredited by the Accrediting Commission of Career Schools and Colleges and licensed by the Michigan Department of Licensing and Regulatory Affairs as a private post-secondary college." The site remained active Wednesday. International students in the United States must secure F-1, M-1 or J-1 visas and attend accredited programs and leave the United States within 60 days of the program ending. While the U.S. State Department grants student immigrant visas, the Department of Homeland Security administers them. There are more than 1 million international students in the United States after a dramatic rise in the past decade that looks to be leveling out, according to recent metrics from the Institute for International Education. Chinese and Indian students comprise half of all international students in the United States. "We are very excited about welcoming you to the UF community and helping you achieve your academic goals," the website of the University of Farmington states. "You'll find UF to be a vibrant and growing institution where students, faculty and staff enjoy a challenging and collaborative environment." The eight defendants charged are accused of helping enroll students in exchange for cash, kickbacks, and tuition credits as part of the "pay to stay" scheme, the indictment said. Six were arrested in metro Detroit, one in Florida, and one in Virginia. “We are all aware that international students can be a valuable asset to our country, but as this case shows, the well-intended international student visa program can also be exploited and abused,” said U.S. Attorney Matthew Schneider in a statement reported by the Free Press. The indictments say the operation allowed students to stay in the United States without proper visas. The U.S. government alleges the students who enrolled "knew that they would not attend any actual classes, earn credits or make academic progress towards an actual degree," read an indictment. “Homeland Security Investigations special agents uncovered a nationwide network that grossly exploited U.S. immigration laws," said Special Agent in Charge Steve Francis, who heads Detroit office of U.S. Immigration and Customs Enforcement’s (ICE) Homeland Security Investigations (HSI), the newspaper reported. “These suspects aided hundreds of foreign nationals to remain in the United States illegally by helping to portray them as students, which they most certainly were not. HSI remains vigilant to ensure the integrity of U.S. immigration laws and will continue to investigate this and other transnational crimes." Aswanth Nune, 26, of Atlanta, GA.
Beezer and kinwood618 like this. Illegal aliens have NO student visa to attend our schools. Please remove them from our classrooms. No two sets of rules for those who come here legally and those who do not! The illegal alien parents need to be deported WITH their minor children. We are not their baby daddy or ATM machine. What the heck is this!?!?! The university in Detroit's Farmington Hills was part of an undercover operation by the Department of Homeland Security (DHS) designed to expose immigration fraud, according to federal prosecutors who announced charges in the case. As many as 129 Indians were among the 130 foreign students arrested for enroling at a fake university allegedly to remain in the US, officials said on Friday, even as immigration attorneys claimed that the youths were not aware of the varsity’s illegitimate operation and criticised authorities for using “troubling” methods to trap them. The university in Detroit’s Farmington Hills was part of an undercover operation by the Department of Homeland Security (DHS) designed to expose immigration fraud, according to federal prosecutors who announced charges in the case. In what the authorities called a “pay-to-stay” scheme, foreign students knowingly enrolled in the fake school to falsely maintain their student visa status and remain in the US, according to prosecutors. “The ICE (Immigration and Customs Enforcement) has administratively arrested 130 foreign nationals enrolled at the University of Farmington for civil immigration violations. Of the 130, 129 were Indian nationals,” Khaalid H Walls, an ICE spokesperson, told PTI. “These individuals have been placed in removal proceedings, and ICE will seek to maintain them in its custody pending the outcome of those proceedings,” he said. The ICE agents made the arrests on Wednesday, the same day federal indictments were unsealed that charged eight people, all of whom are either Indians or Indo-Americans, in a visa fraud scheme. The eight defendants were charged criminally for conspiracy to commit visa fraud and harbouring aliens for profit. But the 130 students were arrested on only civil immigration charges, Detroit Free Press reported. The sweep was one of the largest targeting immigrants from India in recent years, immigration attorneys said. In a nationwide sweep, federal agents with ICE arrested “130 foreign nationals on civil immigration charges,” ICE spokesperson Carissa Cutrell had told the Free Press on Thursday. The arrests took place across the US, in New Jersey, Atlanta, Houston, Michigan, California, Louisiana, North Carolina and St Louis. The students had immigrated legally to the US on student visas and had transferred to the University of Farmington so they could work, said attorneys. Federal prosecutors claim the students were aware the university was not running a legitimate operation. But attorneys who have spoken with students or with family and friends of those arrested are pushing back against the government’s claims. Ravi Mannam, an immigration attorney in Atlanta, said the fake university “hooked these students by promising them credits for their previous master’s programmes”. He said what the University of Farmington was offering – allowing students to work while enrolled – is not unusual. So the students may have thought it was an authorized university and work programme through a type of F-1 visa known as CPT (Curricular Practical Training). Mannam said some Indians had come to the US to enroll elsewhere, only to find that their intended programme had lost accreditation. So they enrolled at the University of Farmington, believing that they could apply their prior credits to the new programme, which seemed to emphasise work experience, he said. Other students had completed legitimate master’s in the US but were waiting to be approved for a specialty work visa, so they enrolled in school as a stopgap measure. “The government utilised very questionable and troubling methods to get these foreign students to join the institution,” Mannam said. The ICE said foreign students are granted what are called “F” and “M” visas to study in the US and must maintain their legal status by enrolling in a varsity certified by the Student and Exchange Visitor Program. The ICE said since the Farmington varsity did not offer courses, the students were using the programme as a way to work. 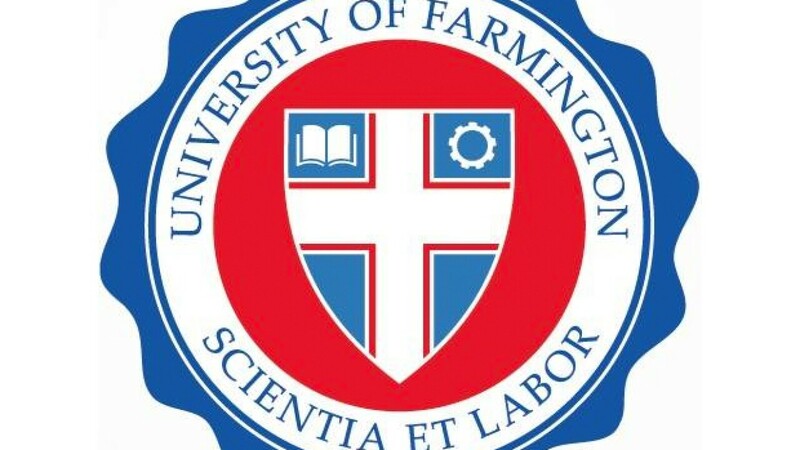 On Thursday, the DHS shut down a website they had been created for the University of Farmington. The website tells affected students to contact their local office of Homeland Security Investigations, the ICE agency that did the undercover operation. Meanwhile, the Indian Embassy here has appointed a nodal officer here to help the students in distress. A Central Florida man is among eight people arrested by U.S. Immigration and Customs Enforcement for recruiting foreign students to keep their visas by enrolling in a fake Michigan university secretly run by undercover ICE agents. The Detroit News reports the Department of Homeland Security created the fictional University of Farmington in 2015 to essentially lure "recruiters and entities engaged in immigration fraud," according to a federal indictment unsealed Wednesday. The undercover agents who managed the fake college hoped recruiters would fall into the trap by enlisting other foreign students to enroll and keep their F-1 student visas from expiring. Foreign students who want to study in the U.S. must apply and enroll in schools certified by DHS. If accepted, these schools provide students with Form I-20, a document that allows them to get an F-1 Visa and authorizes them to stay in the country for the duration of their study. The University of Farmington had a website touting itself as a "nationally accredited business and STEM institution located in Metro Detroit" and was listed as one of DHS' certified schools. Although it had a physical location in an office building, there were no instructors, curriculum or actual classes. Prosecutors say the foreign students who enrolled and made tuition payments to the fake university "knew that they would not attend any actual classes, earn credits or make academic progress toward an actual degree in a particular field of study – a 'pay to stay' scheme." From February 2017 through January 2019, the eight recruiters allegedly helped enlist and enroll at least 600 foreign students in exchange about $250,000 in cash, kickbacks, scholarships and tuition credits. They also "facilitated the creation of false student records, including transcripts, for the purpose of deceiving immigration authorities" without realizing the whole operation was being run by ICE agents. Most of the recruiters and the students they enlisted are from India, prosecutors told the Detroit News. "Their intent was to fraudulently maintain their student visa status and to obtain work authorization," the indictment said. "Each student knew that the University's program was not approved by the United States Department of Homeland Security, was illegal and that discretion should be used when discussing the program with others." Bharath Kakireddy, of Lake Mary, is one of the eight who was charged with "conspiracy to commit visa fraud and harbor aliens for profit" by recruiting foreign students to participate in the scheme. Kakireddy allegedly called undercover agents twice in May 2017 to enroll in the fake university without attending classes to fraudulently maintain his immigration status. Prosecutors accused him of collecting $5,000 from the school in September 2017 for recruiting students. Kakireddy was arrested in Florida, while the seven other alleged recruiters were arrested in metro Detroit and Virginia. Attorneys who have spoken with the students told the Detroit Free Press that contrary to the government's claims, students may not have realized the school was not a legitimate operation because some legal university programs allow foreign students to work while enrolled as part of their degrees.